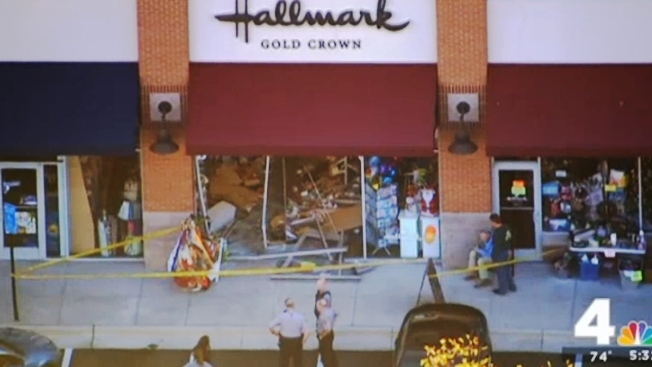 A Cadillac driven by an elderly couple barreled through a Northern Virginia Hallmark shop Monday afternoon, leaving teddy bears, wrapping paper and cards strewn on the ground. The crash was reported just before 5 p.m. in the 2900 block of Chain Bridge Road in Oakton, Virginia. According to local police, the couple was hospitalized for a precautionary checkup, but no serious injuries were reported. The store has been significantly damaged.